"I’d like to take the opportunity to say a massive well done to the huge majority of pupils who have engaged well this term, who show excellent attendance and have applied themselves brilliantly to their learning. Together staff and pupils work hard for the greatest possible outcomes and the greatest possible achievement. We work to enable everyone to have happy, healthy, fulfilling and stable adult lives. 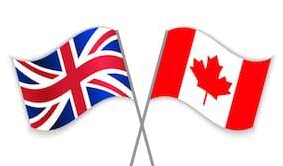 A very big part of being prepared for life both inside and outside education are the skills which allow us to able to be a successful part of British society in the 21st Century. At Chiltern Way Academy, we have a very strong SMSC (Spiritual, Moral, Social and Cultural) message to which we expect all our pupils and staff to adhere to. 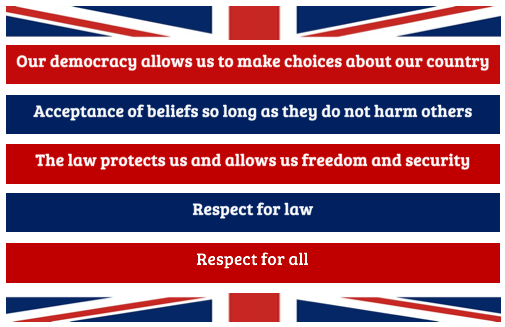 The SMSC belief at Chiltern Way Academy is based on core British Values which incorporates the rights and responsibilities of all involved. The cornerstone of our message is very simple. Respect for all. We have never and will never accept discrimination based on gender. We have never and will never accept discrimination based on sexuality. We have never and will never accept discrimination based on race. We have never and will never accept discrimination based on religion. We have never and will never accept discrimination based on ethnicity. We have never and will never accept discrimination based on age. To be able to function successfully in 21st Century Britain we must respect the rights of the individual, we must show and expect tolerance of different beliefs and above all else show respect to others if we expect them to respect us. Our message to everyone is very simple; we can have different opinions and different beliefs but these must not impact on the wellbeing or safety of others. 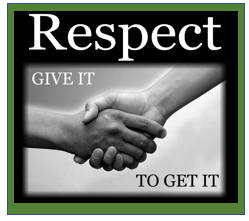 A key factor in establishing a safe and stable society is respect for the law. The law protects us and affords us the ability to live our lives with freedom and security. Laws in society, just as rules in school, allow systems to function with parity and fairness. There has not been one example in all of man’s history of a civilisation working successfully without rules to set boundaries of safe and fair behaviour. In this letter, I have included some examples of our core beliefs for you to see and to keep you informed of how we approach this extremely important area of your child’s education. As always thank you for your ongoing support in creating bright futures for our pupils".